Corbett Slope is our new neighborhood park. It is just under 18,000 square feet of steeply sloping, mostly tree-covered land. It extends from the 300 block of Corbett all the way down to Market Street. 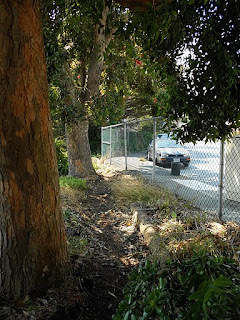 Several members of Corbett Heights Neighbors, along with KitchenGardenSF and the SF Permaculture Guild have come up with numerous wonderful ideas for how the park can be converted into a more functional - and beautiful - green space for all of us to enjoy. When Market St. was widened--early in the 20th century--the only 2 homes known to have once been on the Slope were moved to Mars Street. 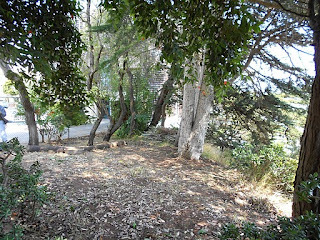 Up until around 1980, the area was maintained by the neighborhood, although not in any organized way. There were planting days, clean-up and weeding days, neighborhood garage sales, even barbecues at the site. A large posting board was set up for public notices, apartments for rent, meeting time and place notices, things for sale, etc. Many trees, shrubs and flowering plants were planted over the years. In the early 80's, a woman was walking in the area and tripped. She sued the city and won her case. 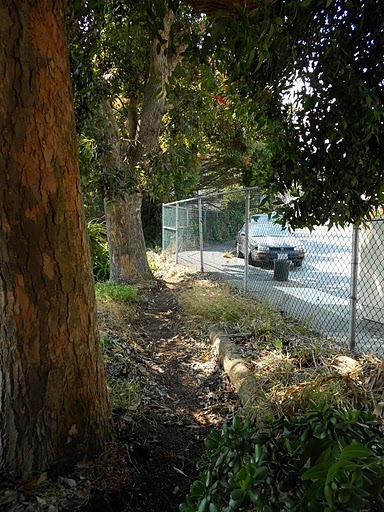 Because of this incident and a budding homeless problem, the city closed it to the public. An imposing chain-link fence still surrounds the property. The city had not maintained or cleaned the area for decades, and since the neighbors were not permitted inside the fence, the area remained a mess. Even in its uncared-for state, it was a much needed buffer from the sounds and pollution of Market Street. It is the only significant green zone remaining in Corbett Heights. The land had always been in the jurisdiction of the Dept. 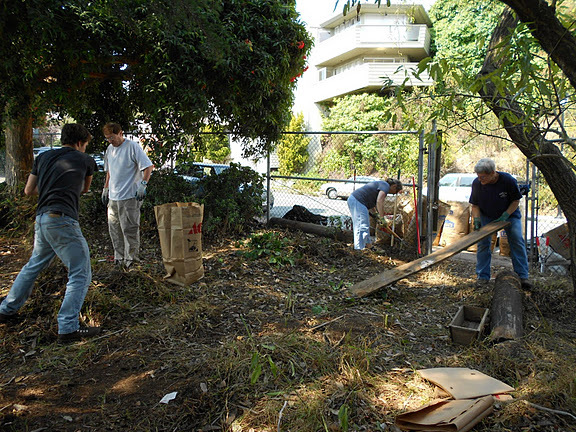 of Public Works (DPW), but in late 2004 it was transferred to the Mayor's Office of Housing (MOH). 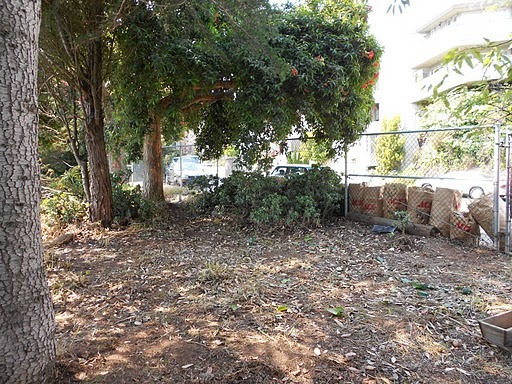 What became known as the Surplus Property Ordinance - drafted by then Supervisor Chris Daly - was a long, drawn-out process whose purpose was to determine whether any "surplus" land "owned" by any city department could be used either for affordable housing, or be sold. In the latter case, the money from the sale would be used to build affordable housing elsewhere. Corbett Slope, as it turned out, was considered too steep to build affordable housing, but was prime property for higher end homes. It was then transferred to the Dept. of Real Estate to prepare it for sale. The sale price would have been $2.2 million. Four "monster" homes - at the very least - would have covered the site. Corbett Heights Neighbors petitioned to save this beautiful property from development, and with the help of Supervisor Scott Wiener who sponsored a transfer of the land back to DPW, and with the help of countless residents who wrote letters, it is now ours! During the last several months we have done some preliminary work - clearing a large area on the Corbett side and building stairs and paths to parts of the Slope previously inaccessible. But several us who have been involved dream of creating a beautiful park with greater accessibility, benches, fruit trees and much more. If you're interested in helping out - either in the planning, implementation or maintenance part of the process, please let us know! 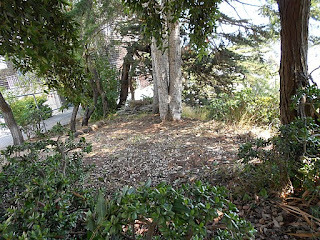 Please help out with a donation - either by clicking the Donate button below using PayPal, or if you'd prefer your donation to be tax-deductible, you may write a check payable to the San Francisco Parks Alliance, noting that it is for the Corbett Slope. The San Francisco Parks Alliance mailing address is 451 Hayes Street, 2nd Floor. San Francisco, CA 94102.